C l i f f o r d J e w e l l e r s @ J.Parriss. A local friendly, family jewellers, established since 1882. 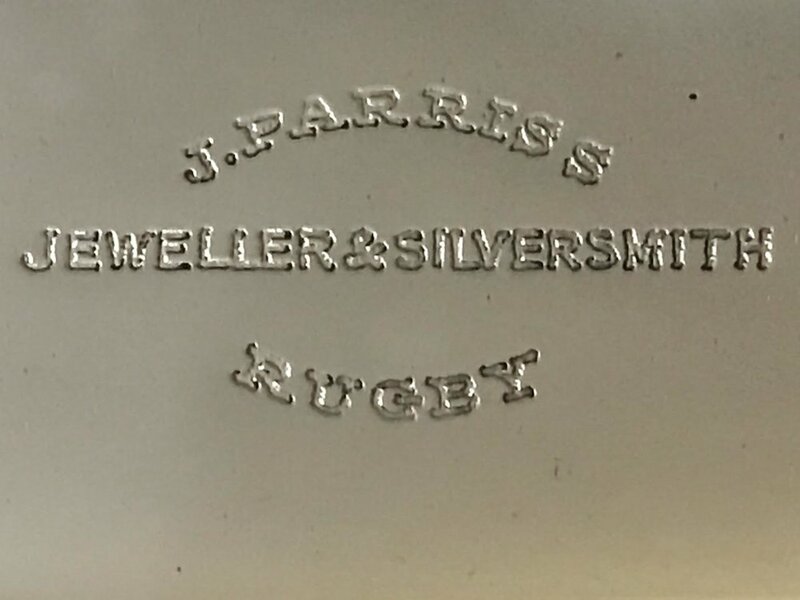 J.Parriss has been a part of Rugby, creating jewellery for the town and surrounding areas since 1882. Originally owned by Mr Parriss it has been passed through generations of family jewellers and in 2015, has been passed to the Clifford family, a 3rd generation of jewellery manufacturers. Experienced staff are now here at J.Parriss having training on CAD/CAM design, knowledge of how to create innovative designs with customers and completion of the Jet courses as well as being members of the NAG (national association of Goldsmiths). The family jewellery business, now has many designs created by the family and is starting to bring out a new line of Clifford Collection rings that can be seen in store. All types of jewellery repairs; stone setting, ring resizing, soldering. some done in house. Jewellery Cleaning and Jewellery Polishing and rhodium plating done In House. Watch repairs and servicing and cleaning available; we use our own watchmaker for most repairs. some done in house. Machine Engraving and Hand Engraving; on plaques, glass, tankards, trophies, awards, etc. New Service - Material and Wood Engraving in house. OLD GOLD BUYER - scrap prices given depending on item will pay more. Most second hand watches, gold and silver items bought. TH March Guard insurance available for purchase, options available are for 3 or 5 years, price dependant on price of item. Preloved Jewellery and Watches also Available. We Sell; watches, clocks, all jewellery (gold, silver, stone set, etc), brooches, pearls, giftware such as crystal cut glass and bronzes, picture frames, trophies, awards, pens, letter openers, christening gifts, silverware, pewter, cleaning supplies for jewellery. We specialise in jewellery. items include diamond set earrings, gem set pendants, bangles, bracelets, wedding bands, engagement rings and gem set rings. We sell in all metals, including silver, 9ct/18ct gold, white gold, palladium, tungsten and platinum. A unique selection of preloved items are also available. Watch Brands include Dreyfuss, Seiko, Accurst, Rotary and Pulsar. Other Second Hand watches are also available. The Giftware includes Royal Scott Crystal, Silver Cutlery by Arthur Price, Tankards, Richard Cooper Bronzes, Christening gifts and a range of Dalvey accessories. New Watch Brands coming soon!